My 138th day on snow for the 2014-2015 season! After waterskiing at Lake Powell over the Memorial Day Weekend what better to do than get another day of snow skiing in? 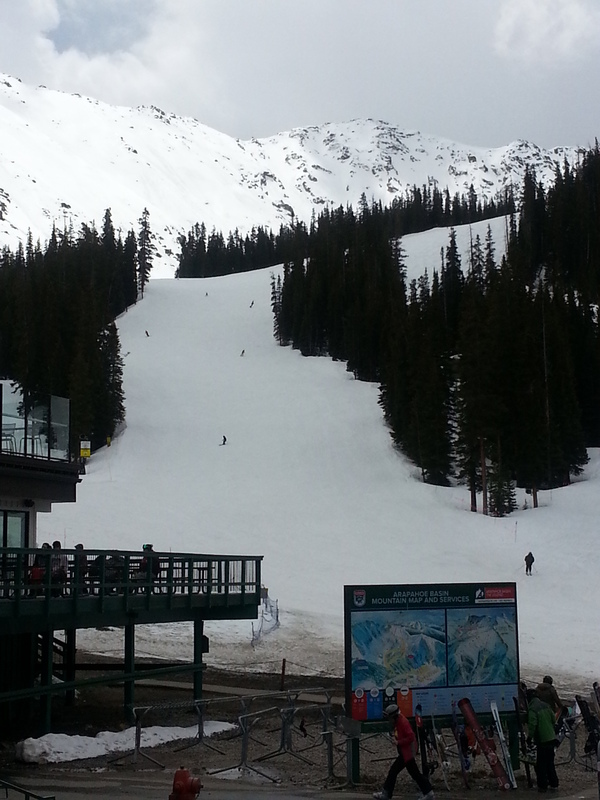 Arapahoe Basin was the place to go. About 2.5 hours drive from Basalt (3 from Aspen) A-Basin was still open with lots of snow so off we went! What a great day!!! We were able to get some great runs in Montezuma Bowl (which closed on June 3), skiied some awesome moguls, experienced sun, snow showers, more sun and met lots of ski instructors. It seemed like almost everyone on the hill taught somewhere! We just can’t get enough 🙂 As it was Thursday there were not many people skiing – just a perfect day. 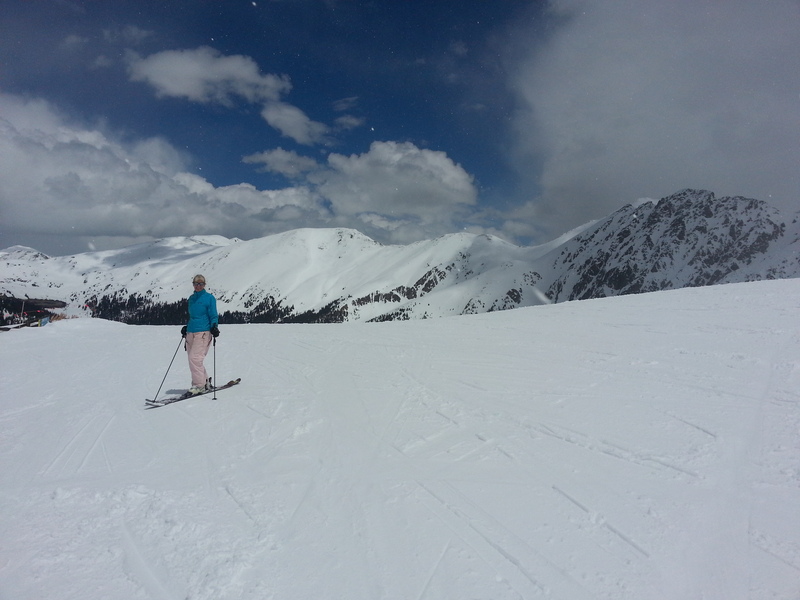 This entry was posted in Uncategorized and tagged A-basin, Arapahoe Basin, aspen, Basalt, bronwyn anglin, late season skiing, Montezuma Bowl, skiing in May. Bookmark the permalink.